Investigating how tissue oxygen contributes to whether a disease resolves or progresses to chronic inflammation. How gastrointestinal inflammation contributes to disease in other organs. How the metabolic changes that accompany inflammation influence the microbiome (bacteria in the gut) and its interaction with immune cells. How diet and pharmaceuticals may influence the microbiome and contribute to food allergy. How intestinal inflammation and metabolism can influence the development of colorectal cancer. Many people don't appreciate just how wide spread gastrointestinal diseases are in the community and how much they impact a person's quality of life. Most of these diseases are diagnosed early and are incurable, meaning they are life-long diseases. A stigma is often attached to bowel disease, so it's not talked about as much as other groups of disease. There is a great need for new research and new therapies for gastrointestinal diseases such as inflammatory bowel disease, irritable bowel syndrome and food allergy. Hnowing how these diseases arise, and the biology behind them, is the best way to develop an understanding of how we should treat and cure them. Our current work has contributed to a new type of drug for Inflammatory Bowel Disease heading towards clinical trials. This is exciting because it's a completely new class of therapy. Research often brings up more new questions than answers, but we are finding in our work a theme between gut diseases that was previously thought to be unrelated. As we get a better understanding of how these diseases occur, not only may we be able to treat them but we may also be able to lessen their occurrence in the first place. My team's research aims to understand how the interactions between the gastrointestinal immune system and our microbiome, the bacteria that live in our gut, may play a common role in a range of gastointestinal diseases, including inflammatory bowel disease, irritable bowel syndrome, food allergy and gastrointestinal cancer. Associate Professor Simon Keely’s research team is focused on studying the cellular processes of digestive disease and infection. The group is particularly interested in mucosal inflammation and how tissues adapt to conditions of oxygen deficiency (hypoxia) in inflamed tissue. This is particularly relevant to chronic inflammatory diseases such as the inflammatory bowel diseases (IBD); Crohn's disease and ulcerative colitis but may also play a role in the development of gastrointestinal cancers. 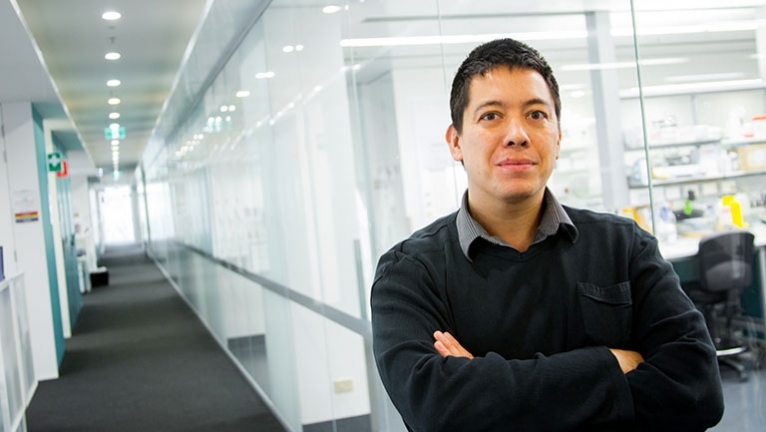 Associate Professor Keely is also interested in the changes that occur with microbial interactions during inflammation and how these interactions influence the progression and resolution of mucosal diseases. Our group studies the cellular mechanisms that allow adaption to inflammation, in vitro. We give our findings physiological context by applying them to in-vivo models and then, through our clinical studies, examine human context in patient tissues. The ultimate goal of this research is to understand how these factors may be pharmacologically manipulated for therapeutic benefit. Associate Professor Keely graduated with a PhD. from University College Dublin. He undertook postdoctoral research training at the Mucosal Inflammation Program in University of Colorado Denver before being promoted to junior faculty positions (Instructor and Senior Instructor) in the School of Medicine and receiving a prestigious fellowship from the Crohn's and Colitis Foundation of America. Associate Professor Keely moved to University of Newcastle in 2011 and is chief investigator of the HMRI Gastrointestinal Research Group. His work been published in top gastroenterology and basic laboratory science journals, he is a consultant for a number of pharmaceutical companies and sits on the Scientific Advisory Board of Aetheria Therapeutics. Our group is translational and we have expertise in cell and molecular models of disease, in vivo models of disease and clinical tissue explant models of disease.